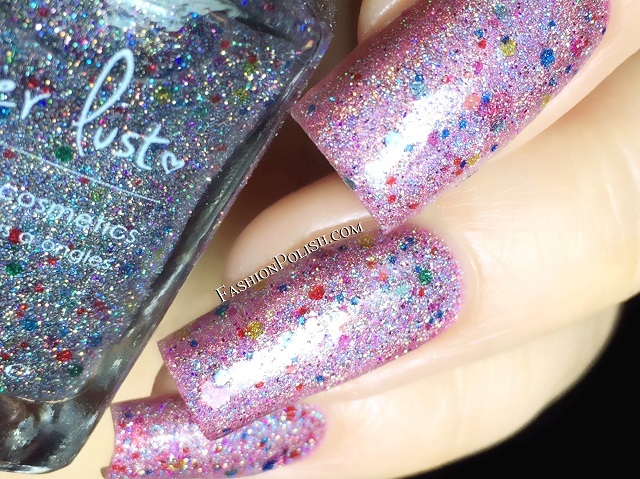 Fashion Polish: Lacquer Lust swatch spam : mattes, flakies, glitters, etc. 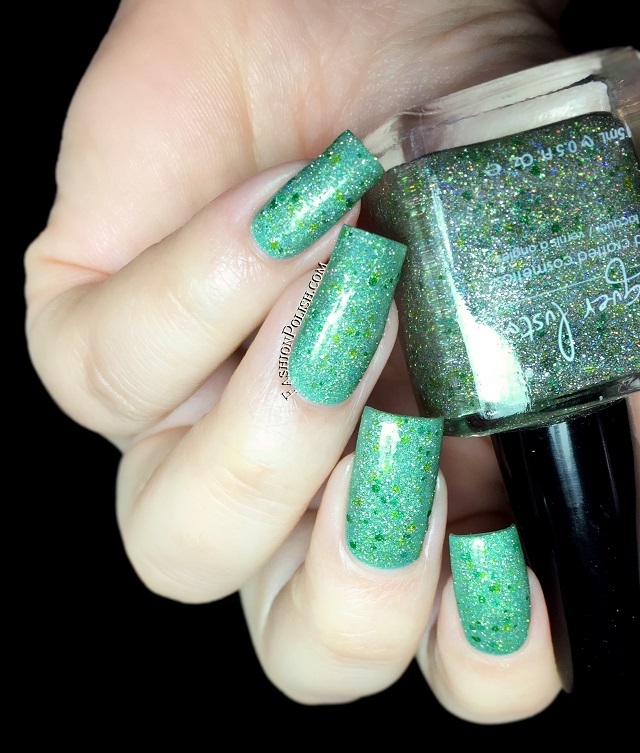 Lacquer Lust swatch spam : mattes, flakies, glitters, etc. 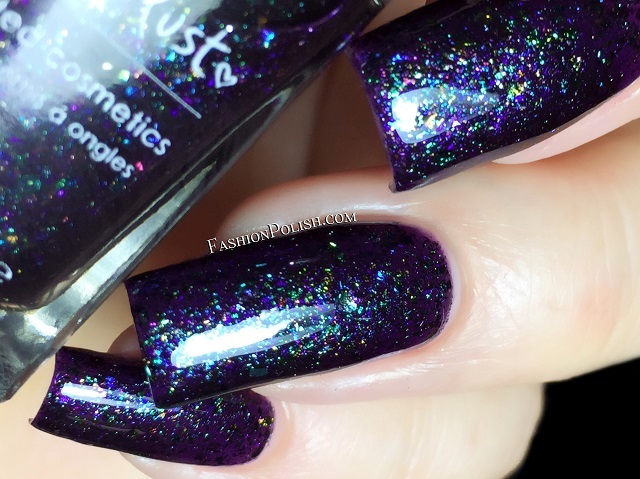 Hi everyone, I have some Lacquer Lusts to share with you guys today! Cottontail is a pearly white satin/matte with a hint of pink/purple/blue shimmers. 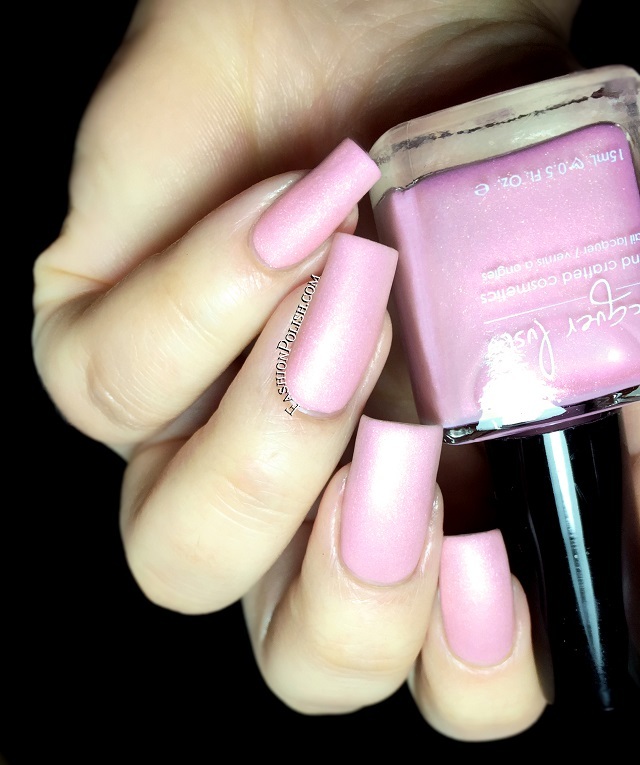 It's very soft and complementing, I used 3 thin coats in my swatch below but you can also be use a single coat as a subtle sheen to create a more natural look. Cherry Blossom is a delicate pink satin/matte with a mix of gold/copper shimmers. Formula was even and required 3 thin coats for complete coverage. 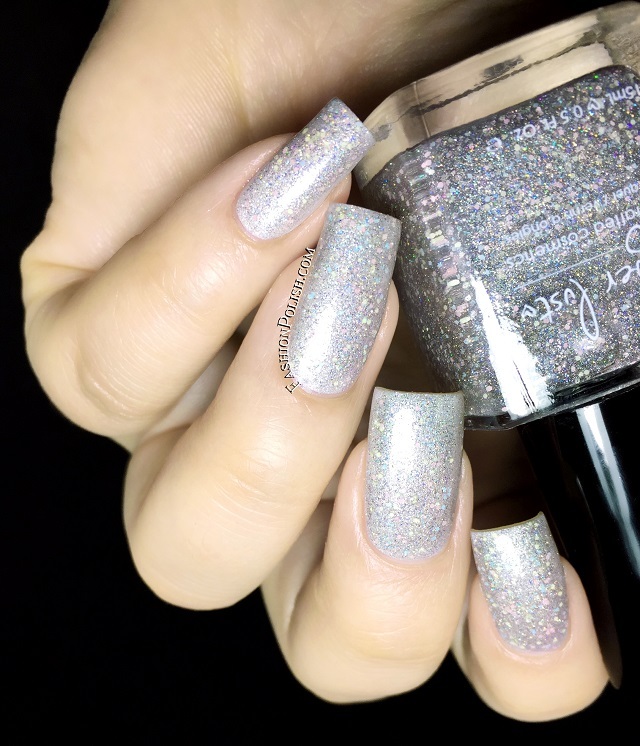 Hop to It (Spring Time Unicorn) is a silver holo topper made of silver micro glitters and pink, green and blue pastel glitters as well as a touch of spectraflair. I used one coat over Cottontail. 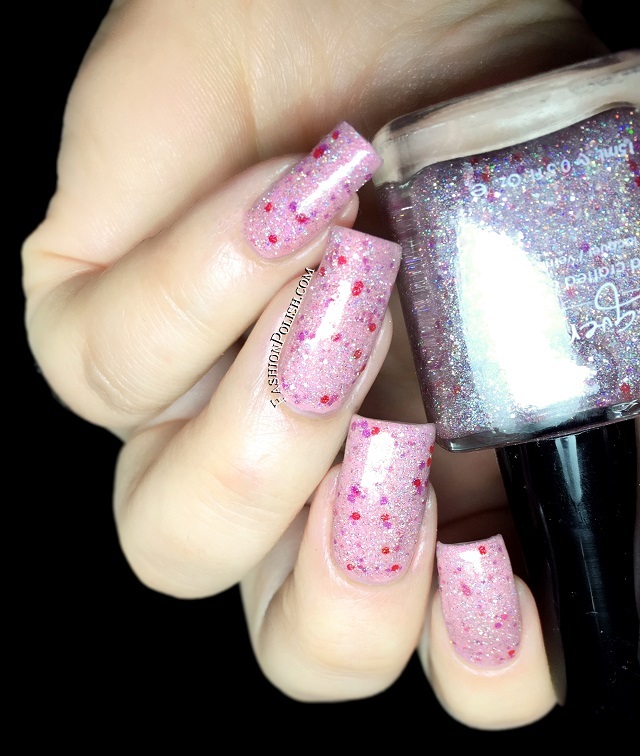 A Unicorn in Love is a mix of silver micro glitters, red hexes and small pearly white squares in a clear "spectraflaired" base. I used one coat over Cottontail. Kaleidoscope is a clear based topper packed with silver holographic micro glitters mixed with an assortment of translucent hex glitters and a dash of spectraflair. I used it over Colors by Llarowe Rizzo. 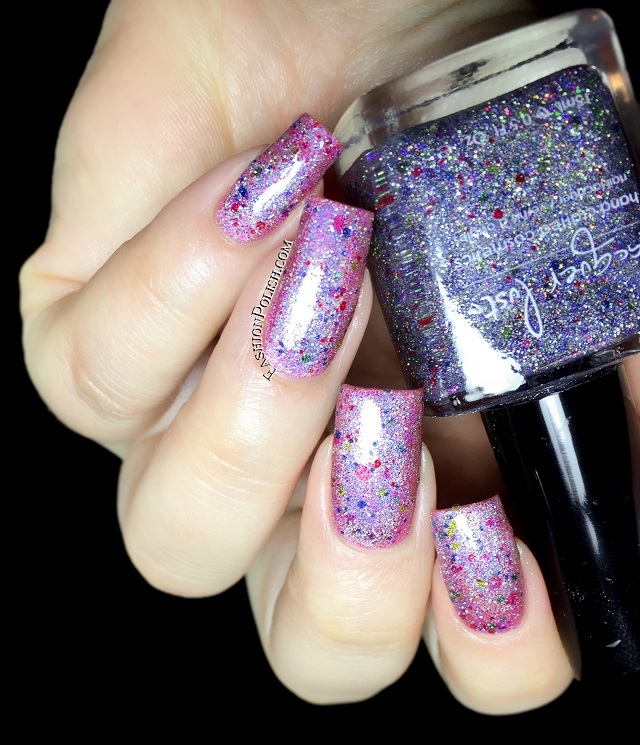 Spring in your Step is a heavy holographic microglitters, pink, green, blue and gold holo glitters in a clear spectraflair amped base. Shown here over silver. One Lucky Unicorn is a clear based topper packed with silver and gold holographic micro glitters mixed with translucent green plus lime green hex glitters and a dash of spectraflair. I used one coat over a green creme. 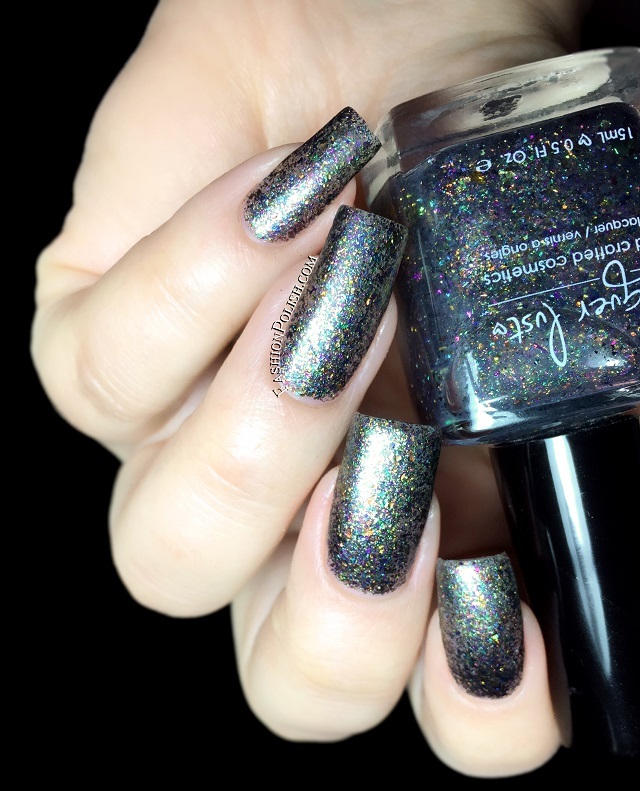 Mind over Matter is a sheer grey base filled with multicolored ultra chrome flakies that dries to a matte finish. I used 3 thin coats but it can also be used as a topper. I used topcoat in the second picture. 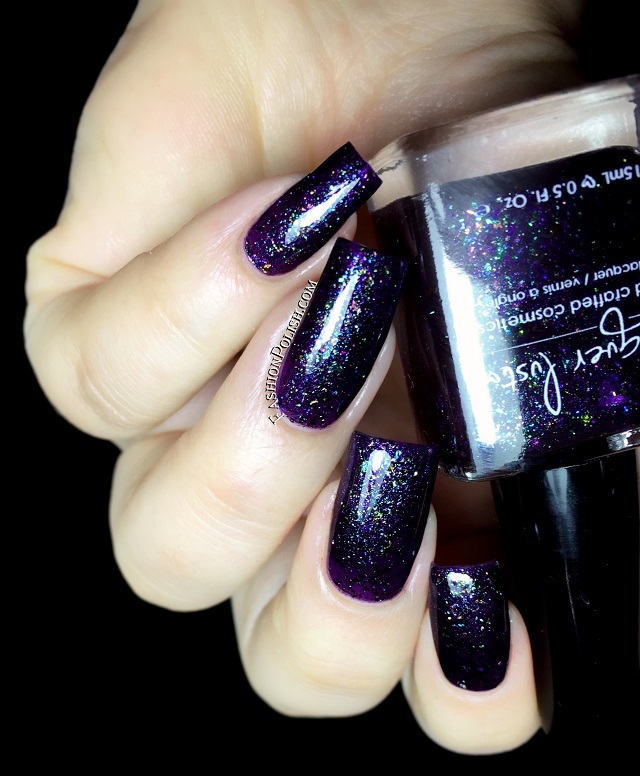 Ultraviolet is dark violet jelly with ultra chrome flakes that shift from a cyan to a violet. I used 2 coats plus topcoat. 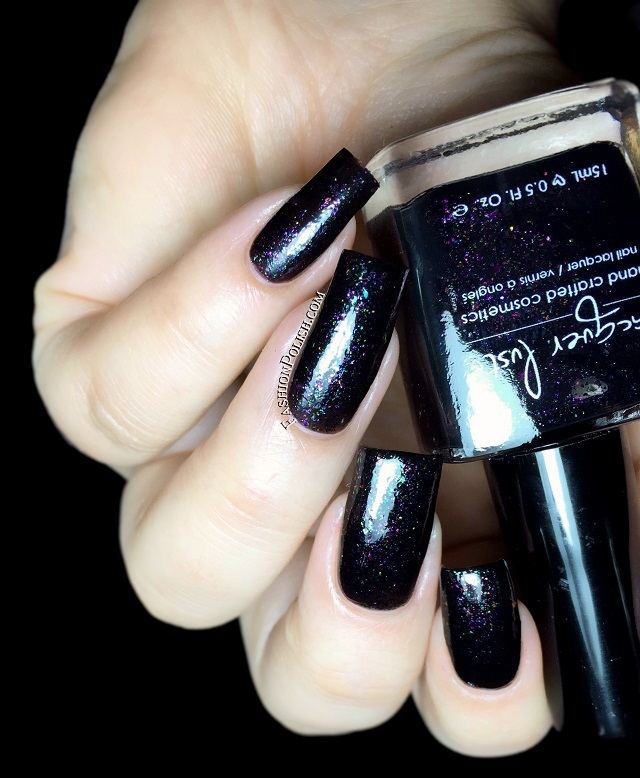 Black Magic is a black jelly polish with ultra chrome flakes that shift to pink, gold and green. I used 2 medium coats plus topcoat. I think I've made it pretty clear in the past how much I love Lacquer Lust. There are so many indie on the market now that it's kind of hard to find unique polishes, everyone seems to be copying everyone else, you know? 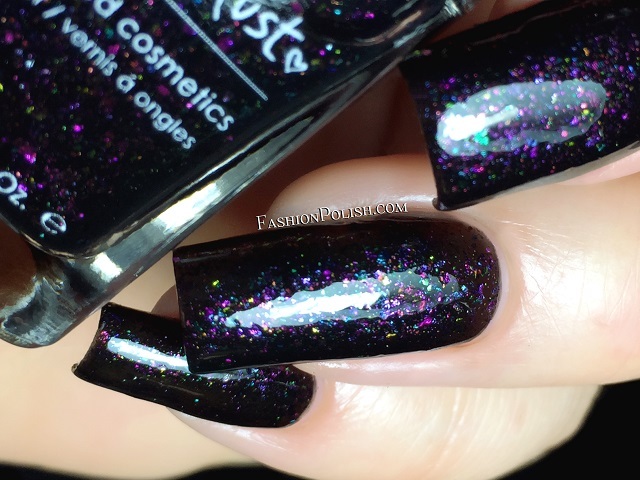 Well Lacquer Lust definitely is among the "trendsetters" if you ask me. My favorite are the ultra chromes, Mind over Matter, Ultraviolet and Black Magic. I love that some extra thought was given into making original multi-chromatic flakies. 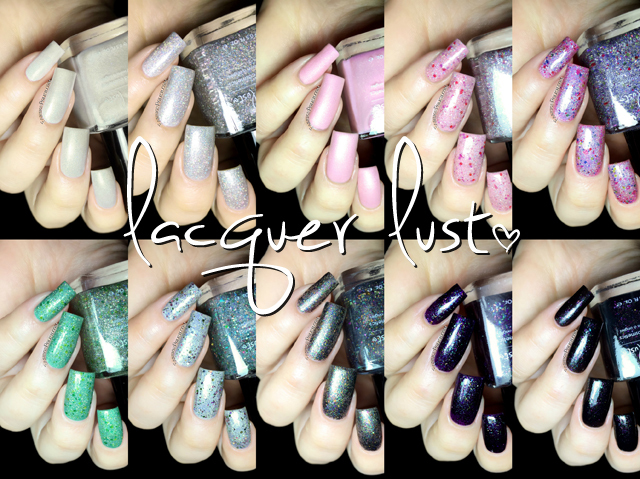 Lacquer Lust is available for purchase on Lacquer-Lust.com, prices vary from $9 to $11 (international shipping available).